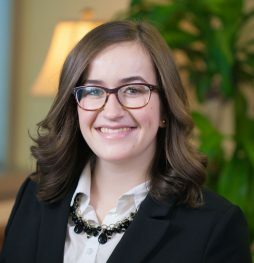 Annie Ascunce serves as a Research Analyst for the firm’s Higher Education Practice. In this role, Annie provides research and analytical support to the firm’s higher education clients. She works with managing directors and clients to strategically identify suitable federal and foundation opportunities for clients to pursue. Prior to joining McAllister & Quinn, Annie spent time as a Joint and Strategic Analyst at the Center for Joint and Strategic Logistics. In this role, Annie worked with key military personnel to identify countermeasures to modern forms of warfare such as cyber and cognitive warfare. At William and Mary, Annie served as a teaching assistant in the Department of Economics. Her primary responsibilities were to assist in course development and tutor students in course materials. Additionally, Annie worked as a Resident Program Advisor for the National Institute of American History and Democracy where she offered programmatic support for high school students studying civics and American history at William and Mary.